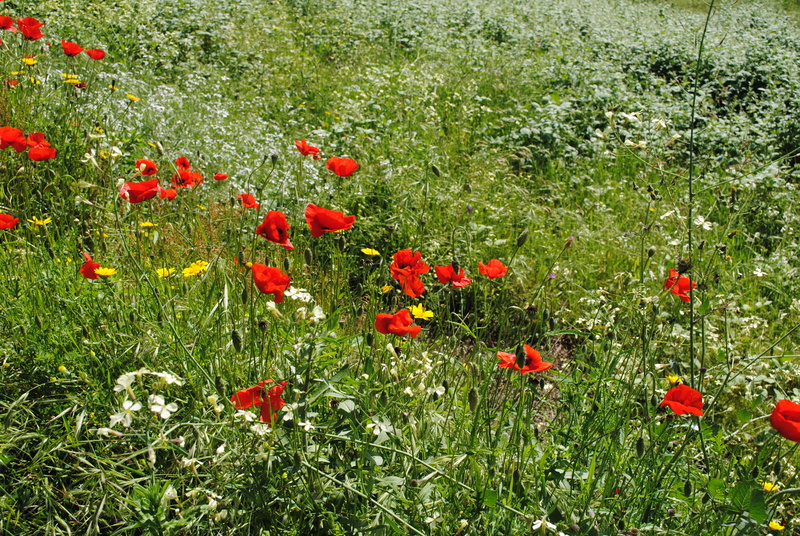 Poppies are synonymous with Tuscany, and May is poppy season. Orangey-red corn/field poppies (Papaver rhoeas) dot roadsides and carpet fields, providing spectacular splashes of colour in the currently verdant countryside. 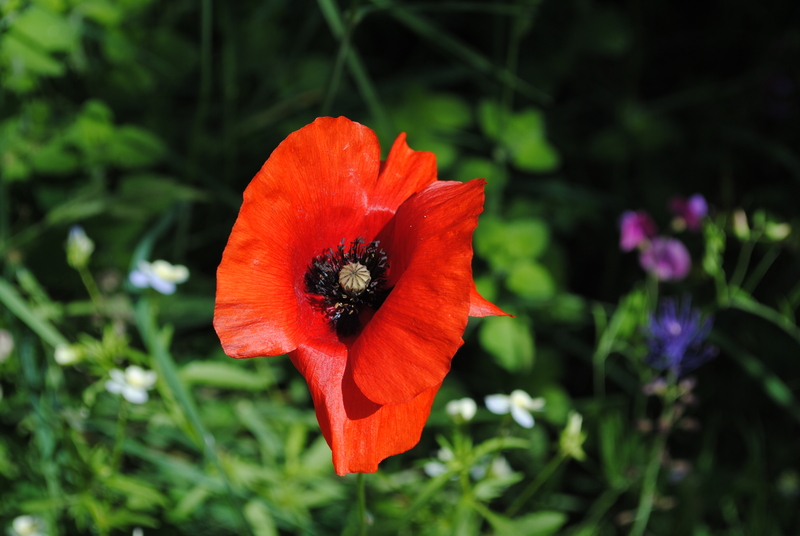 Poppies, especially corn poppies, have always been one of my favourite wildflowers. I love the contrast of the bold colour with the delicate, tissue-paper thinness of the petals.In our olive grove they grow in rows along the edge of the olive terraces and beside pathways. In winter we picked the basal rosettes and young leaves of poppy plants and cooked them like spinach. Later, when the petals have dropped and the seed heads are dry we’ll harvest some of the seeds for baking. For now I’m just happy to enjoy the flowers swaying in the breeze. Beautiful flowers. These are one of my favorites. Hope someday to visit Italy, especially the Tuscan area. I hope you have the opportunity some day, it’s a beautiful and fascinating country. My uncle lived in Rome for many years and loved to travel to the area and he also love Milan and Florence. 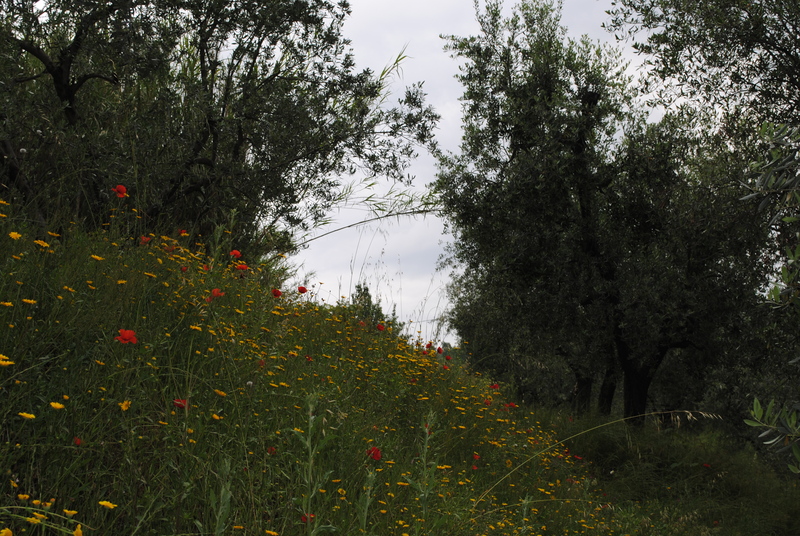 I think your olive groves are just beautiful with all the wildflowers in it. I love the wild red poppies, wish we had them here. Have you seen the part of Room With A View in the wheat field? 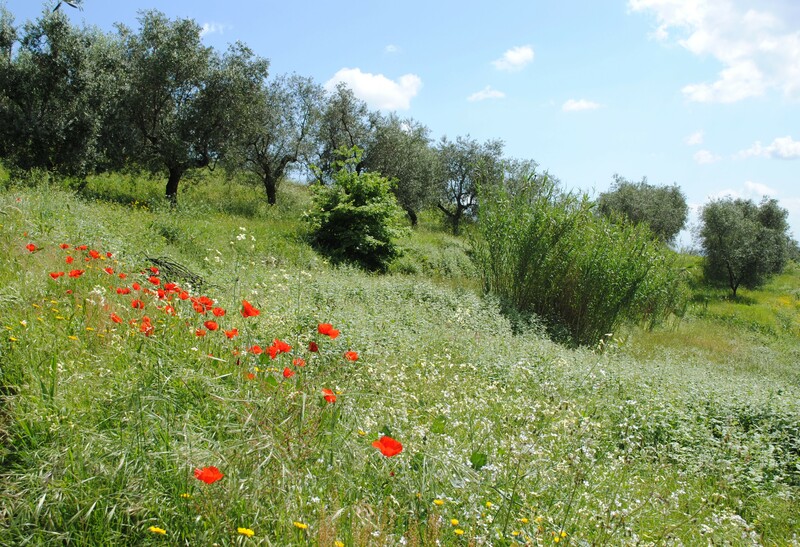 Thank you for visiting the site – I hope you have the opportunity to visit Tuscany some day and enjoy the poppies for yourself. May is a good month for wildflowers! You have an inverted heart shape in that last photo! Accidental or planned….I love it! I didn’t notice until you pointed it out! I love these poppies!They are one of my favorite flowers in Italy (second to sunflowers, of course). 😉 Beautiful photos, keep up the good work. Thanks for visiting and the kind words. Poppies are my favourite but fields of sunflowers are impressive too. Lavender fields are also spectacular! 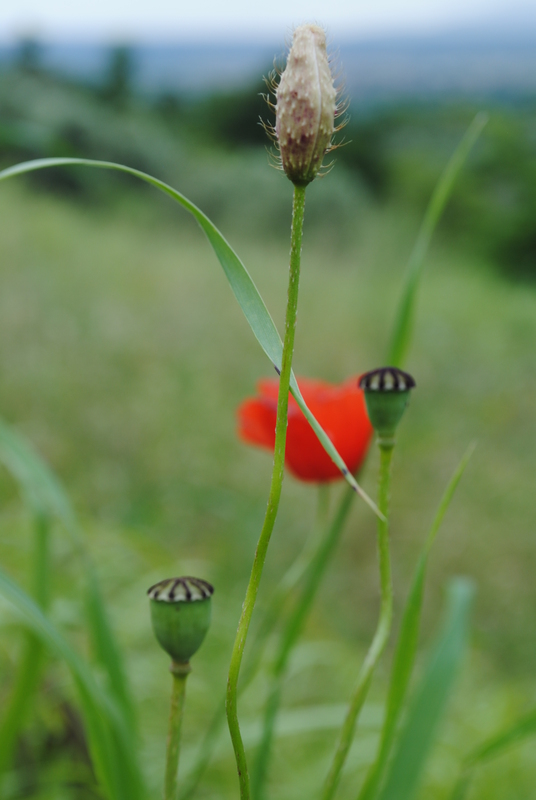 Continents apart… but our poppies bloomed last week too. How lovely. In the UK they bloom a bit later. A mass of poppies is spectacular.